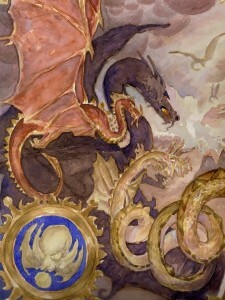 The Phantammeron is a fantasy book series based on a personal mythological writing project I started in the late 1980’s. The Phantammeron is a history of a fantasy world, whose creation and conflict revolves around an ancient curse unleashed by the waters of an enchanted pool. The search for a resolution to the curse and the struggles for redemption by its characters are the global themes that flow throughout all the Phantammeron books. There will be as many as 12 books in the Phantammeron series when I am done. So the universe of the Phantammeron is quite large; larger than Tolkien’s Middle Earth on some levels, and grander in scope than most fantasy written today. But my interest is not in size, in linguistics and language-building, in map-making and world-building, or even single protagonist-driven plots and development. My interest in writing the Phantammeon is in expressing a vast, tragic fantasy tale, a “Twilight of the Gods” story, and a mythic history of a world of people and monsters that extends out across time and space, and into the deeper realms of the unconscious. I am writing in the free yet forbidding realm of “mythopoeia” (click the link to read more). In that sense, the Phantammeron defies categorization. It is simply a series of novels that extends beyond modern fantasy tropes, and attempts to find deeper meaning through epic fantasy history and “myth-making”. 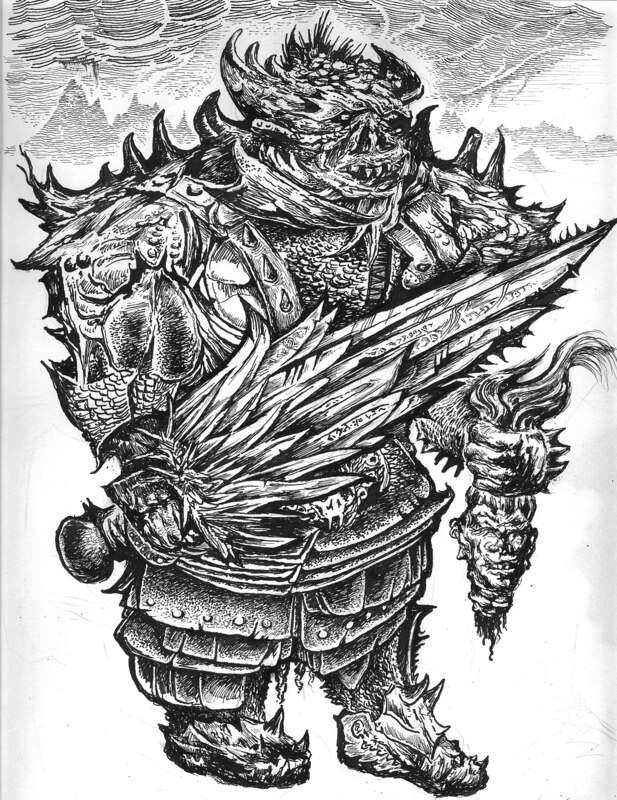 With 12 books, most of which are already plotted out, I intend to explore a vast landscape of mythic history, outlined in detail through the lives of the men and women who love, battle, and struggle in my books. But it is their conflict with the larger themes that forms the basis for all the Phantammeron novels. I hope you will enjoy my books and seek meaning from them, as there is much that has been hidden in the books for readers to explore. Where can I buy the Phantammeron books? What other themes are you exploring in the Phantammeron? 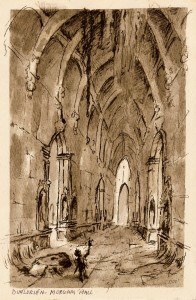 Within the Phantammeron are many other motifs, including creation stories, the Christian fall from grace, Celtic tales,the primeval power of nature, Indo-European fairy tales, Greek tragedy, concepts of love and death, good vs evil, eternal recurrence, cursed relics, ancient pagan mythologies, the hero-journey, and the psychological exploration of unconscious archetypes. In addition, I have also included more modern themes, incorporating the ideas of story arcs, catharsis, and protagonists, which are expected in modern fiction stories today. Phantammeron means “Book of the Forest”. As such, the book represents itself as a self-referential codex, written by an imaginary people of an imaginary world, lost long ago. As such, it is filled with the ancient history of its worlds, deities, and races, with a special emphasis on the first heaven of the Gods – the twilight forest called Phantaia (“Forest of Twilight”). It get’s its name from this mysterious wood. In this mystical wilderness, the last of the children of the Primordial Ones are born, as is their children who play an essential role in the later Phantammeron books. It is their conflicts and struggles, as well as the wars with the more sinister beings hidden in the world, that drives both the larger and lesser themes found in all the books. What is the Phantammeron Really About? In a sense, the first Phantammeron book is a creation story; the story of the making (and unmaking) of the heavens and earth, and the unfulfilled completion of it by the children of its Creator, the Essence Eternal. 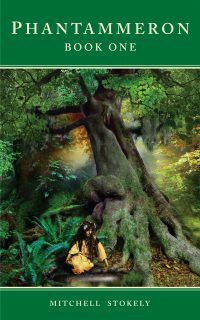 As tragedy befalls the Primordial Ones, their doomed fate soon rests with their children and their relationship to both the forest of Phantaia, their new home, and the Sacred Waters given them that is needed to sustain it. Those waters, and the fight for power over them, form the backbone of the larger story found in later Phantammeron books. 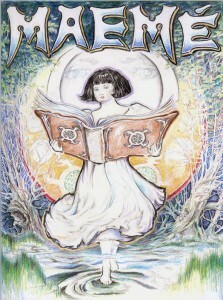 Yet it is the deeper involvement of each of the characters in this world, their relationships with each other, their relationship to the forces of the natural and supernatural world, and their struggle to resolve their own connections to the doomed pool, that becomes the essence of all the plots in the Phantammeron books. What Do the Phantammeron Books Mean to Me, the Author? Despite the focus on the rich mythological and literary themes embedded in the Phantammeron, it is actually an intense exploration of many connected themes, some of which appear and disappear in certain books then return. Through the Phantammeron’s dense mythology I am essentially exploring my own psychology, my relationship to my ancestors (the Celts of ancient Briton), my exploration of human relationships and their complexities, the exposed frailties of familial bonds, the nature of fate versus freewill, the doomed nature of infidelity and temptation in modern relationships today, the mono-myth or tragic-hero in literature, the ancient conflicts of good and evil, the undying nature of eternal hope found in the human heart, and the deeper desires for intimacy and understanding between human beings. These are the real truths I am interested in expressing and exploring in the Phantammeron books. And though the mytho-poetic style of the Phantammeron gives very little allowance for modern character development, it’s the parts that all my characters play in the bigger plot that are a vital part of the books to me. Despite the grander themes of ancient mythology and epic fantasy I am exploring, my characters and their relationships will always remain one of the central themes in the books, and the main reasons why I wrote the Phantammeron in the first place. The exploration of human drama and emotion is why they were written. How Did You Write the Phantammeron? It was in the early 1980’s, before the Internet, that I first became interested in ancient mythology. I had discovered the work of Joseph Campbell – the premier Mythologist of our age – and the epic mythopoeia, The Silmarillion, by J.R.R. Tolkien and his son Christopher Tolkien. I then became fascinated by the concept of writing my own mythopoeia and of exploring, in-depth, the ancient Western and Indo-European mythologies of my Western ancestors. Who were they, I asked? And why had their culture remained hidden in the Modern world yet still controlled so much of its secret systems and symbols? 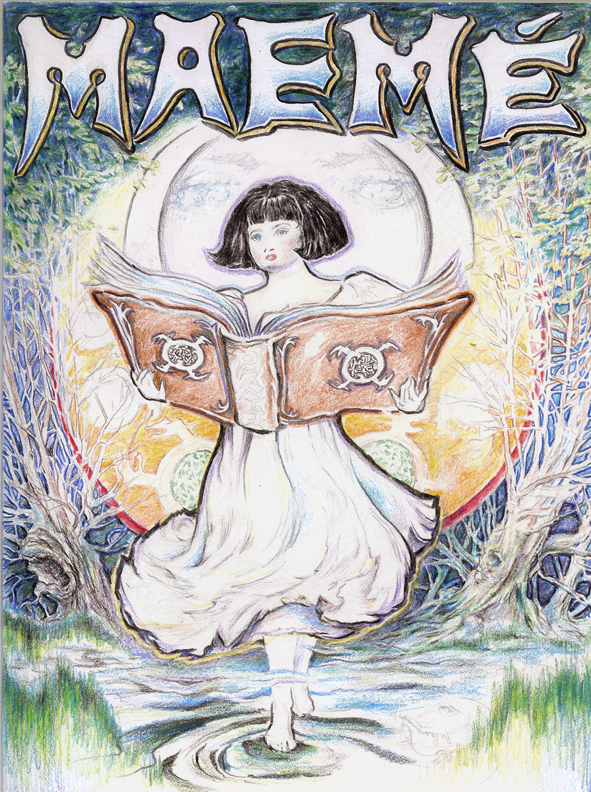 The Phantammeron fantasy books are creations of my imagination and ideas, yet derive from ancient archetypes, stories, symbols, and relics of my childhood, things influenced and inspired by the works of medieval fairy tales and ancient mythological texts. The stories they contain, as well as many of the symbols used, are inspired by my long and careful study of ancient Indo-European mythology, music, and art, some of which has derived from more modern interpretations of those myths by scholars 30 years ago. 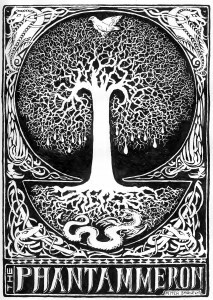 Celtic mythology, as well as a number of Nordic, Germanic, Irish, French, and Scandinavian literary sources, have inspired the character of the story-telling, as well. So, just like many famous authors in the last few centuries (Goethe, Tolkien, Wagner, White, Lucas, Tennyson), I too have delved into these ancient Western texts for inspiration. But the Phantammeron is so much more than a typical fantasy book, or even a recapitulation of ancient mythology. It is a mythopoeia; a form of book that takes its style and theme as a written mytho-poetic work of art that is currently unique to modern fiction. It is a form of novel that is a reflection of my own personal psychological archetypes as well as those of the ancient symbols and stories of our ancestors. In my case, those myths were primarily Celtic in nature. Thus, the Phantammeron, if anything, has become a respectful ode to my ancestors in some form; to my own ancient and mystical Celtic and English past, which has been passed down to me through both story and the archetypes that resonate so well through my mind’s own Western DNA. My mind, my spirit, my art, though bound to the modern American world, has yet returned to pagan Europe in the creation of the Phantammeron. But it is through the more personal expression of the mythopoeic artform that I have set out to explore a new form of storytelling using poetic prose in combination with the ancient symbols and archetypes of ancient mythology. Honoring the requirements of such a new art form I have been willing to explore a different format in my novels. This writing style has thus been used to support the storytelling, as well as through poetic expression, the meaning of the symbols in the book and its overall mythological character in a deeper, more meaningful way. 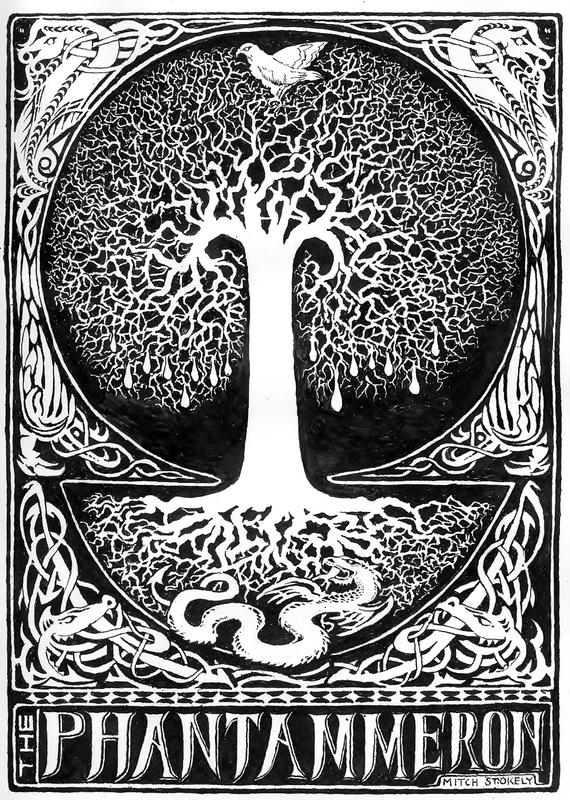 Thus, the design and nature of the writing style itself was used to support the metaphysical meaning of the mythology inside it, some form of writing whose medium and meaning lie just beyond the fantasy story itself, allowing those symbols and metaphors to be just as important as the stories themselves. As such, the Phantammeron has become a psychological book for me, a spiritual part of my life now, its stories reflecting upon the dimmer light cast up from the darker pools of my unconscious mind. Like Carl Jung has said, through this exploration I’ve allowed my anima to be free to roam without constraints, swimming up from the spiritual depths to show me the way to my darker self and its mysteries though the cascading of conscious light that seeks to penetrate its waters from above. Yet in using my own “self” and my own symbols of personal myth in the Phantammeron, I have not used mythology to spin tales of trivial fantasy, or of my personal life, my desires, my personal needs, my biases and frustrations, my hopes, my loves or losses, or even my dreams and hopes for my life as a man living in this world. I have refused to place myself in these books, and strove to avoid that as much as possible. Instead, I have intentionally used my stories and characters to portray the mythical battles and conflicts of the inner psychological and spiritual realms; the places not seen by others, by society and the outer world, or even easily understood by psychologists. Such is the nature of the spirit, and of the truer, more personal mythology found in all of us. Because this type of psychological exploration and writing only exists in “real” mythopoeia and true mytho-poetical works, authors using this medium can only hope that their art forms will reach this higher state, and yet create works that are readable to the public. Through such a medium as mythopoeia such written art may someday transcend modern fantasy and storytelling (like the Silmarillion has done, in my opinion) and assume a place in a semi-shared conscious of the primitive mythology found in all of us. That has been my goal in writing the Phantammeron and in using and exploring the medium of mythopoeia. 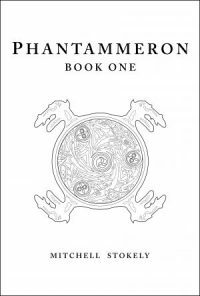 Modern fantasy readers do not need to fear that the Phantammeron as mythopoeia is “beyond-this-world”, unreadable, unapproachable, or something that cannot be enjoyed, or fully known or grasped. That is not its purpose or goal. They are simply there to explore and enrich. In my books, despite their mythological underpinnings, I have filled them with many modern fantasy tropes and traditional modern fantasy themes; stories of fantastical places and people, of vast mystical worlds of enchantment, creatures of traditional myth and legend, tragic heroes, swords and sorcery, romance and love, drama, conflict, character development, and a modern fantasy catharsis and resolution that most of us expect and enjoy in modern fantasy fiction today. In that sense, they are designed for pleasure and as escapist fiction. Yet, I have tried to merge my deeper reflections of ancient mythological archetypes over and under these more modern and accepted ideas, never abandoning the original mytho-poetic nature of the books. I have worked very hard to create this hybrid type of book. 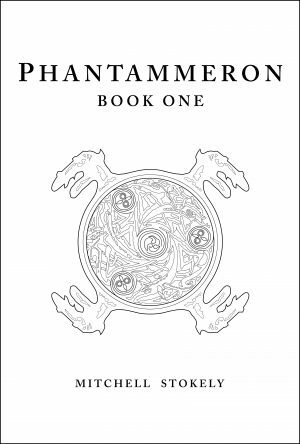 If I’ve achieved anything, it is my hope that the Phantammeron achieves some type of acceptance in both literary realms, the mythological and the modern, and thus approachable by a wider reading public. All these features, combined in this way, should make the Phantammeron a very unique book in future blogs and videos online. So stay tuned! >>> Please Like my Phantammeron book page on Facebook to get the latest news on my fantasy book series.